Organizations rely more and more on web and mobile applications for many business-related tasks, yet, these applications usually aren’t designed with maximum security in mind. Escalated development cycles on these applications can increase the chances of design and coding errors being overlooked, and many apps are built with hybrid code from multiple sources with little insight into potentially vulnerable components. Web app monitoring tools can improve application security by recognizing weaknesses before they are exposed by hackers. Conventional web app monitoring approaches can be expensive and time-consuming, and most tools aren’t comprehensive enough to assess all applications, which may leave parts of the app at risk. Integrating monitoring tools into the software development lifecycle can be challenging, as most solutions hinder the agility and innovation that development teams depend on. We provide a solution that automates monitoring and at a reduced cost while significantly streamlining security management. CyberHunter Web Application Scanning is a solution that combines identifying, securing and monitoring of all web applications. CyberHunter’s begins by inventorying all your web applications, and not only the ones you are aware of. In fact, CyberHunter finds 30-40% more websites than customers knew they had. CyberHunter then performs an initial scan to pinpoint security risks and help you prioritize primary risk areas. Finally, CyberHunter’s monitoring solution runs a thorough scan of your foremost applications to reduce risk where it matters most while monitoring your security infrastructure and including greater security measures into the product’s development lifecycle. When you monitor your applications with CyberHunter, you have access to an all-encompassing program with multiple integrated scanning technologies for more accurate results. CyberHunter’s platform also includes solutions for dynamic/static testing, software composition analysis, and third-party security assessment. We provide our clients with experts in program management and appl security who will help analyze your website inventory and their potential vulnerabilities, redefine policy and recurring processes for security improvement, and report application risks through an ongoing benchmarking and security recommendation process. During the M&A process, CyberHunter can identify legacy websites that should be shut down or secured, or assess another company’s security as part of the due diligence process. The infrastructure of modern web applications brings a new set of challenges for monitoring performance and availability. Newer applications have higher traffic and reliability requirements than their predecessors, and monitoring solutions need to be equipped to handle higher volume and presenting real-time data while proactively alerting teams about issues. Network boundaries can make the source of errors and performance issues can be harder to discover in distributed environments. Keep in mind that the RED metrics don’t necessarily determine why something is failing or the status of the entire system. These can be achieved by collecting metrics on related systems (such as databases, container runtimes, queues, or external APIs) or by collecting custom metrics. These metrics are a great entry point to your system, but shouldn’t be solely relied upon to understand the full state of your applications. Application Performance Monitoring can provide deep insights into the status and performance of your applications. This type of monitoring is usually installed as a library in your codebase with the opportunity for deep integration. 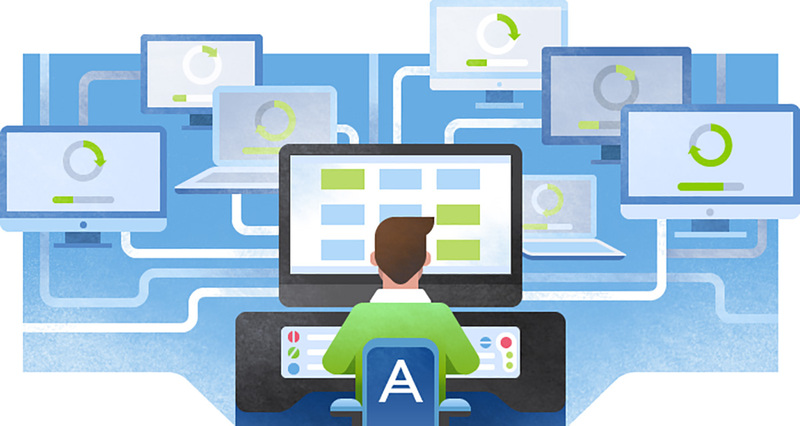 APM can provide information on database connection, request and response, remote profiling and tracing for slow spots, and other service health-related metrics (depending on the language and client’s features). While metrics provide us with clustered information of services, they are less useful in identifying issues and getting more meaningful insights into system anomalies. Logs are generated often, but they provide more information than metrics. The first step to good logging is to create useful logs. This can be done by only logging actionable events that machines or humans can use and not generating logs on normal events. Unless there’s an error or it’s required for compliance reasons, request logging can be replaced by metrics. Using separate error reporting services can fracture your monitoring between logging and error reporting. Applications like Loggly, a unified log analysis tool, can provide a single pane for normal application logs and exceptional events. This can be as simple as creating filters and charts looking for error logs and creating notifications for them. Now that you’re aware of some of the best practices for web app monitoring, it’s time to integrate them into your own applications. Get started with CyberHunter today and take control of your entire web application stack. 6 Months is the average amount of time that an attacker has access to a network until they are discovered (usually by an outside organization). 70% of organizations say their top cybersecurity challenge is the detection of hidden, unknown and emerging threats. This is the AVERAGE amount of time that an attacker dwells in a network until discovered (usually by an outside organization). The percentage of organizations who say their top cyber security challenge is the detection of hidden, unknown and emerging threats.